Engraved Wine Glass - Peabody's, Printing, Airbrush and Gift Shop, LLC. 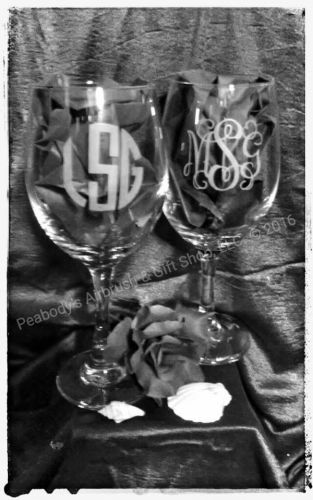 Personalized Etched Monogram White Wine Glass. To appreciate a fine glass of wine, it is important to choose the right glass to enhance the taste as well appeal to your sight. Our exclusive personalized white wine glass will do both! And it doesn't hurt to have some good company while you're sipping your glass of wine, so don't forget these wine glasses are available by the pair also. 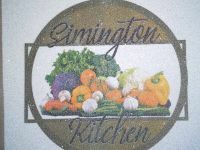 If you would like engraving on two sides of the glass, please see our other listing.